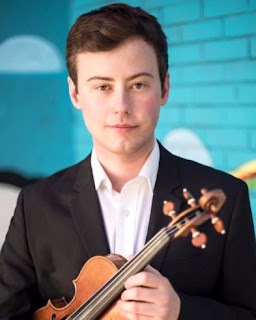 There will be a benefit concert “From Russia with Love” in Chicago to help Russian born LGBTQ Violinist Artem Kolesov flee persecution from Russia on Saturday August 26th at the Hoover-Artem Theatre at 7P. Artem Kolesov is the 23-year old gay man who caught the world’s attention when he came out earlier this year on YouTube as part of a Russian "Children-404" project that invites teenagers to share their stories & discuss LGBT issues in Russia. In most of their photos & videos, participants shield their identities by holding up a sign in front of their faces but Kolesov did not. While his courageous move caught international attention it also means that he can never return home. His dream is to insure his safety by obtaining U.S. citizenship. Kolesov now lives in Chicago where he is first violinist in the Yas Quartet, which is in residence at Roosevelt University's Chicago College of Performing Arts. Earlier this summer Kolesov was honored at the Logo TV Trailblazers Awards. Last year his ensemble took third prize in the Chamber Division at the Schoenfeld International String Competition held in Harbin, China. 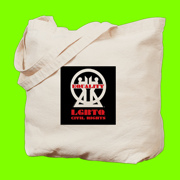 The concert entitled “From Russia with Love: A benefit concert for Artem Kolesov & other LGBTQ refugees fleeing persecution” will feature a performance by Kolesov & the YAS Quartet and others. Tickets start at $50 & all proceeds will benefit legal costs associated with Kolesov’s pursuit of U.S citizenship, American Friends of Rainbow Railroad & Chicago LGBT Asylum Support Program (CLASP).